We all know quite well that a wild blueberry picked in the woods of Maine, or a tomato grown in a backyard with nurtured soils, or that ripe plum plucked from your tree in wild soils taste not much like the fruits and vegetables we now buy in our super markets. The gene-splicing in these frankenfoods are a serious problem, but the major issue is that they are grown on shockingly mineral-depleted soils. That fact and that alone is why there are no flavors present in these frankenfoods. Natural flavors derive from minerals and nutrients. It is a simple fact and nature's way. Health derives from minerals. All major experts on this subject agree that most of the diseases in this country, like diabetes which is now at epidemic proportions, and obesity (a mineral-starved condition), find their root cause in the mineral depleted soils that dominate our corporate farmlands. And so it is with wine. Almost all of the wine made in this country acquires flavor structure from oak barrels or chips and winemaking manipulation with chemical additives that can be carcinogenic and need not to be listed on labels. But with the new intense concerns about artificial flavor and color and natural flavors, what is actually known about soils and minerals and the relationship to flavor in wine and to our health is becoming front and center for the public. 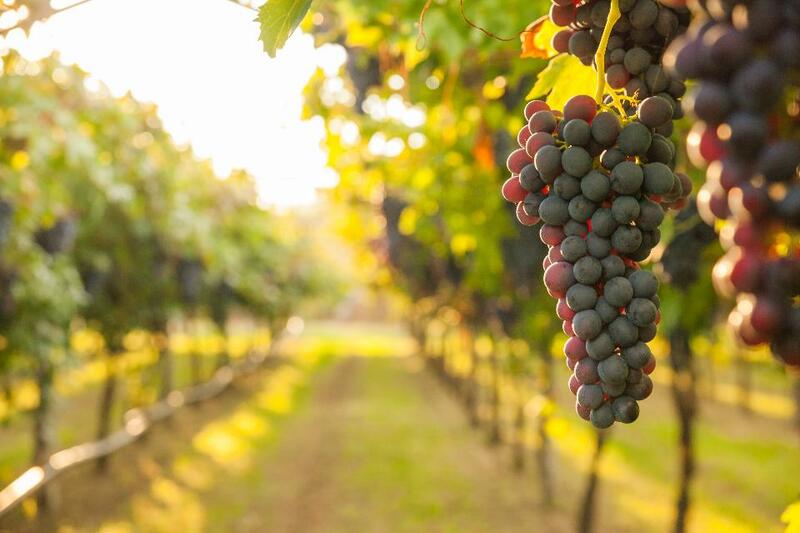 These questions were in part the scientific queries that prompted the most significant long-term research efforts ever undertaken regarding the impact of soil types, nutrients, and properties in respect to wine quality and flavor perceptions. This research found its ideal location with Carmody McKnight Vineyards. The understanding of this critical soil-flavor-terroir-wine quality relationship has long been pursued, especially in Europe. In fact, for centuries; but because of newly developing technologies, this was now the time and Carmody McKnight was now the place. All of the major soil constituents (such as limestone, calcium montmorillonite, volcanic intrusion, even a super wonder soil recently discovered at Carmody McKnight found nowhere else on earth) known to profoundly support superior wine quality exist in the vineyards of Carmody McKnight and probably nowhere else. This unique combination of soils coupled with ideal microclimates make the vineyard a one-of-a-kind laboratory on a course to vastly affect quality winemaking as we know it ~ around the world. For the first time the quality perception of wine ~ which has always been illusive and subject to varying personal interpretations was to be scientifically investigated with a constancy of parameters and vineyard and winemaking controls that heretofore were not available. This seminal study which correlates soil nutrients to flavors would not only confirm but analyze the process of minerals to taste perception ~ the ultimate challenge of terroir. The Project Title: Assessing the Relationship of Wine Quality to Soil Type: A joint project between Cal Poly Earth and Soil Sciences & Food Chemistry, Food Science, Nutrition, & Statistical Departments, John Deere Global Ag. Services, State of California, Earth Information Technologies Inc., Motorola, and Carmody McKnight. Greg Cropper, vineyardist and winemaker at Carmody McKnight managed the varietal selections and winemaking processes. The project is directed by Thomas J. Rice, Ph.D., C.P.S.S., Professor of Earth & Soil Sciences, California Polytechnic State University (Cal Poly), Earth and Soil Sciences Department; Joseph Montecalvo, Ph.D., Professor of Food Chemistry, Food Science and Nutrition Department Cal Poly, and the Department of Statistical Research, Cal Poly. The studies are a joint effort between the State of California, the above departments of Cal Poly, John Deere Global Ag. Services (with Mark Stelford, Ph.D.), Earth Information Technologies Inc. (EarthIT; Dan Rooney, EarthIT President) and Motorola, providing atmospheric and soil monitoring stations.